Tric’s Gymnastic Academy & Twister All Star Cheer has been sold to Integrity Athletics, LLC. 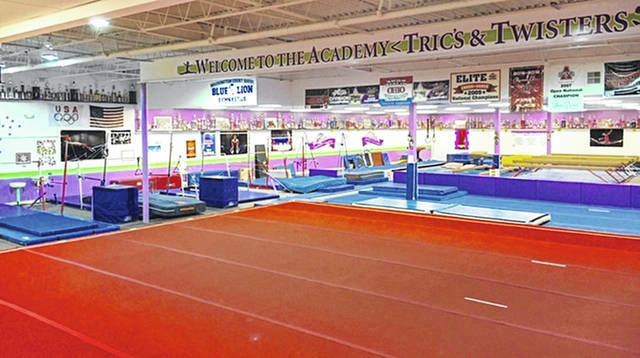 Tric’s Gymnastic Academy & Twister All Star Cheer is going through a transition of ownership. Current owners, Mark and Susan Holloway, have decided to seek new ownership to carry on the business. The business has been sold to Integrity Athletics, LLC. The local gymnastics, cheer, and Ninja Warrior gym will remain in business to offer the same credible and successful teaching/coaching, according to the Holloways. The staff will continue to demonstrate the same family oriented atmosphere and personal care toward the children and families. Mark and Susan endeavor to remain as coaches. Many of the current staff will remain as well. Tric’s Gymnastic Academy has been in business within the community for 41 years. Integrity Athletics officials said they excited to begin the next chapter at Tric’s Gymnastics Academy and Twister All Star Cheer. After making the decision to step down, Susan and Mark approached them about taking on the responsibilities of ownership, and they said they are honored to carry on the success that’s been built. Integrity Athletics is a multi-sport facility located in Plain City and has been under the ownership of Blaine Wilson since 2009. In the past 10 years, it has built its programming to offer recreational and competitive programming in multiple gymnastics disciplines to provide opportunities for children of all ages and abilities. Wilson is a retired American gymnast. He is a five-time national champion, three-time Olympian, and an Olympic silver medalist in the team competition at the 2004 Olympic Games. Having reached the highest levels in the sport of gymnastics, Wilson brings a unique perspective to training and is an invaluable resource to the coaches and athletes. https://www.recordherald.com/wp-content/uploads/sites/27/2019/03/web1_IMG_4468.jpgTric’s Gymnastic Academy & Twister All Star Cheer has been sold to Integrity Athletics, LLC.